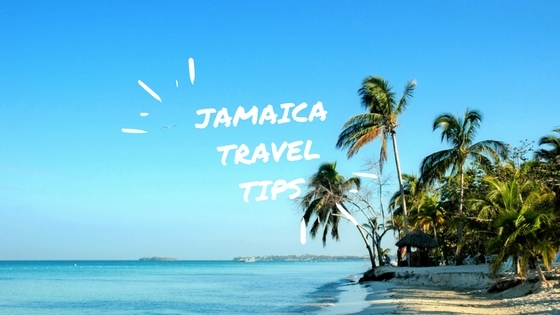 Jamaica Travel Tips – Straight from Our Travel Specialists! I recommend taking advantage of convenient NON-STOP charter flights to Jamaica paired with an All-Inclusive package. These are seasonal based on departure city and vary by day of the week and length of your stay. The are especially convenient for group vacations. When approached by the street vendor I always tell them I bought one last time I was here. Then they tend to leave you alone. Don’t buy beer or liquor at the airport, 4 Beers = $26.00! If you are traveling to Ocho Rios or Negril; the bus will stop along the way for refreshments! Don’t assume just because you are buying it in Jamaica that it is actually made in Jamaica. Check for labels or you could end up buying an “authentic” Jamaican drum that was actually made in Indonesia! Bring an extra change of clothes for most days, between the salty ocean breeze and the humidity everything feels a little damp after you wear it once. You will be approached by people selling wares. If you’re not interested in purchasing anything, then say so firmly and politely. Do not mistake persistence with harassment. Just be firm and you will be left alone. Bring bug spray! There are sandflies on the beaches, which are at their most ferocious in the late afternoon and you often can’t see them. If staying in Negril you must take a trip to Ricks Cafe – timing is everything – plan to go early, have some cocktails and dinner… they normally have a great band playing and you’ll get the most beautiful sunset ever! When you’re off shopping, don’t get intimidated and stand your ground if you’re not sure on purchasing something…. Otherwise you’ll find you get back on the bus and realize you just spent $100 on souvenirs you didn’t need! Bring a light jacket and pants/long skirt, as evenings may get cool, especially in the months from December to February. Take a walk on the beach at sunset and look for sandcrabs. It’s fun to watch these little guys throw sand out of the holes they dig in the sand. Do not stop for drinks at the airport bars upon arrival – you could delay your entire transfer van/bus. Definitely try “jerk”. Whether it’s chicken or pork, it’s fabulous. Many of the resorts offer this Jamaica dish, but if you have the opportunity, go to one of the many “jerk huts” and buy it from the locals. (And make sure that you have a “ting” (a grapefruit soda) or a Red Stripe (Jamaica’s beer) ready to wash it down. If you are going to Negril, it’s nice to know that Rick’s Café will pick you up if you are staying in Negril…you just pay to get back! Take along an insulated plastic mug to keep your beverages cool. Take along lots of small denomination bills for bargaining for souvenirs with the locals and for random gratuities given. Take quite a few $1 bills for tipping. When it comes to your vacation, it’s those little details such as tipping etiquette, that can cause unwanted worry. Whom should you tip? How much? Do you need to tip at all? No worries, with this simple guide to tipping, we will take the guesswork out of tipping etiquette and help you focus on what’s most important… enjoying your vacation of course! Upon arriving at or leaving from the airport or train station, tip the standard porter rate of $1 per bag; more if your luggage is very heavy. Typically, a $1 tip for hailing a taxi is appropriate for doormen. However, you may want to tip more for special services, such as carrying your bags. When you arrive at your hotel after a long flight, first things first: Tip the taxi or limo driver. Ten to 15 percent of your total fare is usually expected. If you drive your own car, give the valet parking attendant $1 to $2. If you take a shuttle van or bus, tip the driver $2 per person. The bellman, who will be more than happy to assist you with your bags and the door, should receive $1 to $2 per bag. Tip when he shows you to your room and again if he assists you upon checkout. Tip more if he provides any additional service. The concierge, who can get you anything from dinner reservations to hard-to-come-by theatre tickets, deserves $5 to $10 for such feats. You may tip at the time of service or at the end of the trip. To ensure good service throughout your stay, add a $20 tip to the bill. Add 15 percent of the bill to a room service charge, unless a gratuity is already added, then add no additional tip or simply $1. If you requested something delivered to your room such as a hairdryer or iron, tip $1 per item received. Typically, the maid deserves a $2 tip each day, as well. If you’re taking a tour and a tip is not automatically included, tip a local guide $1 per person for a half-day tour, $2 for full-day tour. Tip a private guide more. If you are on a multi-day tour with a tour manager – someone who travels with the group for several days and is essentially in charge – tour operators suggest anywhere from $3-8 per person per day. Don’t forget the bus driver either – $2 per person per day. When on a cruise, tip according to your comfort level and only on the last evening of your cruise. As a general rule, dining room waiters receive $3.50 per person/per day whereas the dining room assistant waiter should receive $2.00 per person/per day, the dining room maitre’d $3.50 per person/per day and the dining room manager $1.50 per person/per day. The room steward, for all his efforts, receives $3.50 per person/per day. Other personnel, such as bar waiters, bellboys and deck stewards may be tipped as service is rendered. Many, if not most cruise lines are now automatically adding a gratuity to your cards at the end of the trip, so make sure to review this before deciding what additional tips you’d like to offer. Although excellent service calls for 20 percent of the total bill, most U.S. restaurants accept 15 percent as the standard tip. In restaurants where you sit at the bar or the waiter is a small part of the meal (cafes or pubs), 10 percent is also acceptable. The bar tenders, themselves, generally receive between 15 and 20% when you sit at the bar. If the food or service is unsatisfactory, speak to the manager – don’t walk out without tipping. And pay attention to lunch and dinner bills in Europe and Asia, as some restaurants tack on an additional 15 percent (usually listed on the menu or check as a “service charge”) and do not expect tips. At fancy restaurants, tip the maitre d’ between $5 and $10 if he gets you a table – more when the restaurant is full and you have no reservations. Tip $1 when you check your coat, and another $.50 to $1 for restroom attendants. For personal service from the wine steward, opt for 10 percent of the wine bill. This tipping etiquette will hopefully give you a general idea of the standard tipping rate for different stops during your vacation. Enjoy your trip, and don’t forget to tip! As you prepare for your next vacation or business travel adventure, these are some web pages and resources that you might find useful as you prepare to travel. Suggested by the travel agents at Fox World Travel. International Health and Vaccination Requirements: A list of countries and their health requirements or warnings from the U.S. Centers for Disease Control. Also, find a list of cruise ship inspection scores. Approach the initial security check-point with your drivers’ license/passport and paper boarding pass or electronic boarding pass in hand. Do not engage in trash talk about security or do anything else to call attention to yourself – this will only make it worse. Why should I choose Mexico for my vacation? Incredible value for any travel budget (including Funjet charter/value flights from select origins) – The value and price for a luxury vacation in Mexico is unbeatable. High quality, all-inclusive resorts and the competitive airfare to Mexico make for an extremely competitive and reasonable package price. The reasonable base-price of a Mexico vacation also gives you the opportunity to enhance your vacation by upgrading your room or adding tours and excursions. Uniqueness—attractions found nowhere else in the world! What are other travelers saying about their Mexico vacation? 94% of Funjet’s survey respondents were satisfied with their vacation to Mexico. 97% of travelers would return to Mexico for vacation. 99% of travelers who recently returned from Mexico felt safe on the hotel or resort grounds. 90% answered that they felt safe and secure. 90% of vacationers answered that Mexico is a great place for a vacation. 90% of travelers have visited Mexico more than once. Almost 60% of respondents had visited Mexico 5 or more times, up from 55% from Funjet’s previous April 2009 survey. *Results and quotes were generated from a Funjet Vacations survey fielded in Sept. 2010 among Funjet Vacations’ customers who traveled to Mexico between April and Aug. 2010. There was no incentive offered for participating in the survey. 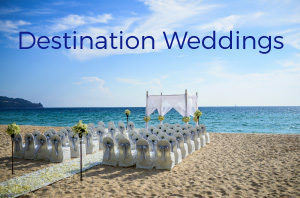 Every one of our customers is looking for a unique vacation experience. Every Mexico destination offers a different experience for different customers. We will get you where you need to be. All-Inclusive Vacation Packages are the most popular way to experience Mexico. 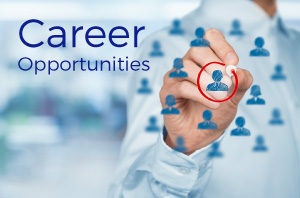 Your travel agent can build you a package that conveniently includes your hotel stay, roundtrip airfare, transfers, meals, drinks and non-motorized sports. Exciting excursions and day trips are also plentiful in Mexico. Call 888-369-8785 to start planning your getaway to Mexico. We have moved our blog and can’t wait to share exciting travel tips, destination secrets, advice from our travel agents, news, special offers and so much more! Stay tuned as we continue to provide you with useful informaiton for your upcoming travel arrangements.